Earlier today, Gartner published their analysis of the Unified Endpoint Management (UEM) market, the Magic Quadrant for Unified Endpoint Management (UEM) Tools. As I meet with customers navigating their digital transformation, I often hear that IT teams (and their leaders) struggle with how to scale their infrastructure or apps, not just in the cloud but also in terms of what the cloud will demand from them during this process. Password-less sign-in to Windows 10 and Azure AD using FIDO2 is coming soon (plus other cool news)! I want to tell you about some exciting new features we've been working on that I think you'll be pretty excited about. Read more Password-less sign-in to Windows 10 and Azure AD using FIDO2 is coming soon (plus other cool news)! If you follow the blog, you know that Azure AD Conditional Access (CA) lets you easily secure access to Office 365 and all the other apps you use with Azure AD. Read more The Intune Managed Browser now supports Azure AD SSO and Conditional Access! On Wednesday, we announced that the Microsoft Intune APIs being surfaced through Microsoft Graph have been moved from “preview” to generally available. 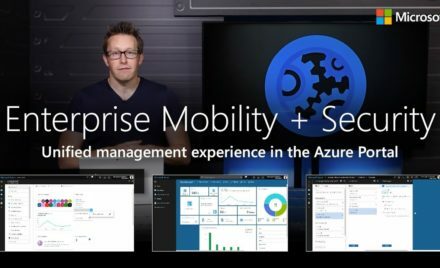 Device-based conditional access is one of the hottest features in Azure AD and is growing at a rapid pace. Today, I’m excited to announce the general availability of a set of capabilities for device- and app-based conditional access that many of you have been eagerly waiting for. 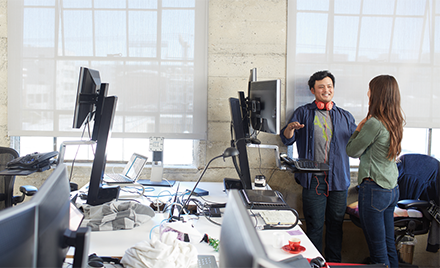 Read more Conditional access in Azure AD: macOS support plus two more features now generally available! Azure AD and Intune now support macOS in conditional access! Conditional access is one of athe fastest growing services in EMS and we are constantly getting feedback from customers about new capabilities they would like us to add to it. One of the most frequently requested is support for macOS. Read more Azure AD and Intune now support macOS in conditional access! Organizations are pushing forward in their digital transformations and we continue to see and hear more about what this shift means for IT. The scope of digital transformation goes beyond moving existing work to the cloud and enabling a more mobile workforce. Something I have come to really appreciate as we’ve built Intune and watched its usage scale to millions of devices is the unbelievably broad and diverse types of hardware our customers have to manage. There are a handful of topics that consistently come up whenever I meet with our customers and partners, and one of the most common has to do with how to balance productivity for end users with the need for security and control of company data.